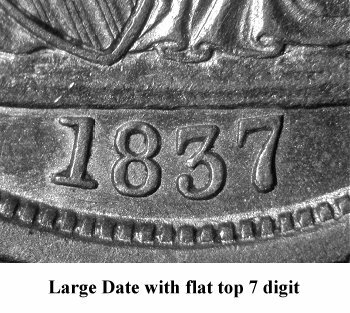 Comments: Large Date 1837 dimes can be easily identified by the flat top 7 digit in the date. 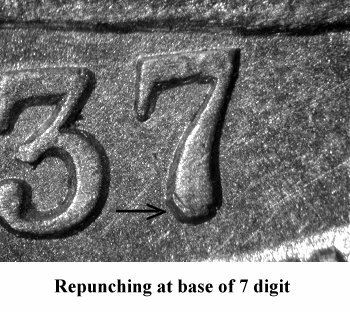 The 7 digit also shows repunching at the left side of its base. 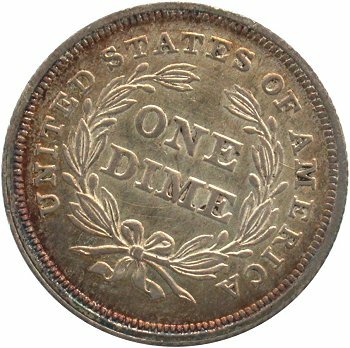 Reverse A is rotated 23 degrees to the left. 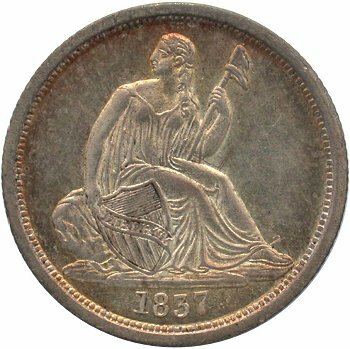 This rotation is present on all of the 1837 dimes except the Small Date die pair of Obverse 2 and Reverse B and the Small Date die pair of Obverse 3 and Reverse A.3.